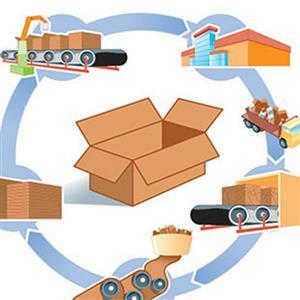 Corrugated packaging is made from wood fibre - a natural and renewable raw material; it is 100% recyclable and fully biodegradable. 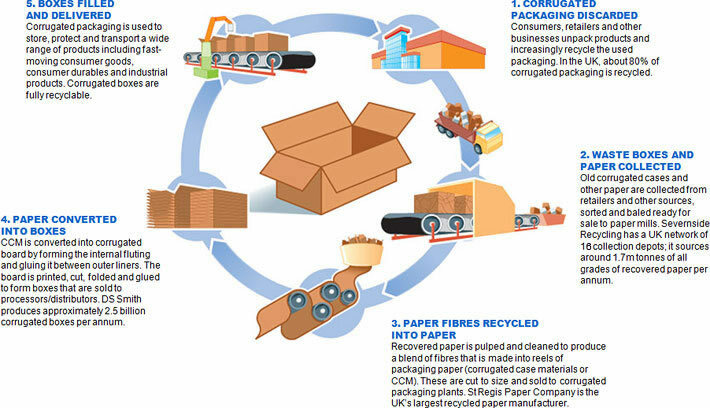 Approximately 80% of the corrugated packaging used in the UK is recycled. The recycling loop is very efficient. The fibres used in corrugated packaging can be collected, recycled, re-used and be back on the shelf in store within 14 days of disposal. The re-use of the fibres in corrugated packaging through the process of recycling minimises waste disposal to landfill and reduces the need for virgin wood pulp.